Global production of lithium-ion batteries will almost quadruple in 2012 to feed growing demand generated mostly by plug-in vehicles according to research firm IDC Energy Insights, Framingham MA. An IDC Energy report, Business Strategy: Lithium Ion Manufacturing Global Buildout - Supply and Demand Forecasts expects worldwide growth of 390% from 6,689MWh in 2011 to 26,149MWh in 2015. This explosive growth is being driven by the need for batteries in plug-in vehicles and stationary storage. The report also indicated that plug-in electric vehicles will require more than seven times the 2011 production level, rising to 17,331MWh by 2015. North America will lead the demand in the coming year; however, Asia will quickly eclipse North America in demand. If Li-ion costs fall as expected, IDC Energy expects global stationary storage lithium-ion demand on the electric grid will increase by more than 17 times in 2015. To meet this expected demand, manufacturers throughout the world are engaging in one of the largest factory build-outs in world history. It is led by a combination of existing battery giants, such as Electrovaya in Canada, Panasonic in Japan, Samsung SDI in South Korea and Johnson Controls in the US, as well as emerging players, such as A123 Systems in the US, and BYD in China. 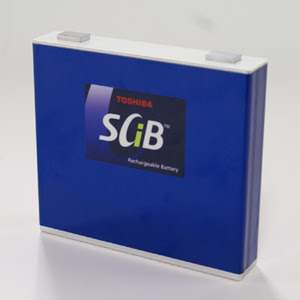 Li-ion batteries are the preferred battery type in a number of applications ranging from plug-in electric vehicles to computers to power tools, based on their flexibility, durability, energy density, and power capabilities. Historically, the one challenge that has delayed adoption has been price: they are significantly more expensive today than other battery types; however, IDC Energy says the enormous increase in production capacity will generate economies of scale, causing Li-ion battery prices to decrease significantly. "As prices for Li-ion cells come down, more applications will become eligible for their use, creating a self-feeding cycle that will lead to lower prices and more widespread adoption," says Sam Jaffe, research manager for IDC Energy Insights and one of the authors of the report. "Demand and supply will be in rough equilibrium for at least the next three years, allowing manufacturers to reach high levels of production capacity and leading to even lower price points."